We encourage Non-Profit supporters to shop with local Points for Profit Businesses. In return the Business Members provide additional revenue for the participating Non-Profits. 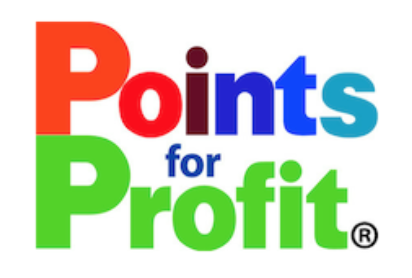 Points for Profit is networking on purpose – with a purpose – harnessing millions of dollars in sales and giving back tens of thousands of dollars to participating non-profit organizations in our community! In Points for Profit, local businesses do more business, local non-profit organizations do more good while building partnerships and sustaining individual communities! It’s easy to get involved! Just start shopping at any one of our business partners listed and start saving receipts. Turn those receipts into your favorite, local, participating non-profit listed and that is it! If you have a locally owned business and think Points for Profit feels like a good fit or if you are part of a non-profit organization that feels like a good fit, give us a call. Our Meetings are held on the first Thursday of every month.